Located in the Hillyard Market Street District, the Inland Empire News Building was built in 1903. The two-story brick masonry building was originally built for furniture merchant John Stough, who occupied the building for eleven years from 1903 to 1914. From 1914 to 1919 the building was occupied by another furniture merchant named Frank Murray. 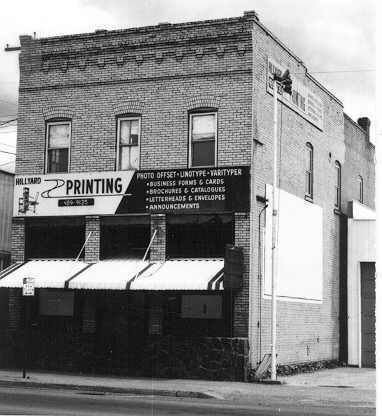 Having served as a furniture store for the better part of 16 years, the building eventually became the source of the local Hillyard paper, the Inland Empire News, before later becoming the Northside Post. The building maintained a printing business for over thirty years, surviving into the 1950's. The block design of the Inland Empire News Building fit in with the rest of the "Market Street" district buildings that were erected between 1901 to 1948. 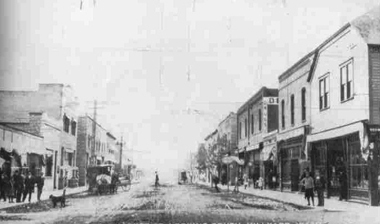 These were second generation buildings on Market Street, with most of the earlier, pre-1900 wood buildings being destroyed by fire. As the Historic Preservation Office has to say, "The simple one and two-story buildings represent the construction, materials and design of early twentieth century commercial structures associated with a typical working-class town such as Hillyard, a community platted in 1892. In that same year the Great Northern Railroad began construction of its Western Regional Terminal Facility, and its huge rail yard and locomotive shops. With strong economic ties to activities and business generated by Great Northern, Hillyard continued to expand as the railroad prospered." Experiencing a subsequent increase in wealth, Market Street between the years 1901-1903 and 1906-1907 saw the construction of seven new buildings that stand today, including the Inland Empire News Building. Presently the building is occupied by 'Market Street Antiques', which won third place in the 2012 Inlander best antiques store in the Spokane area. 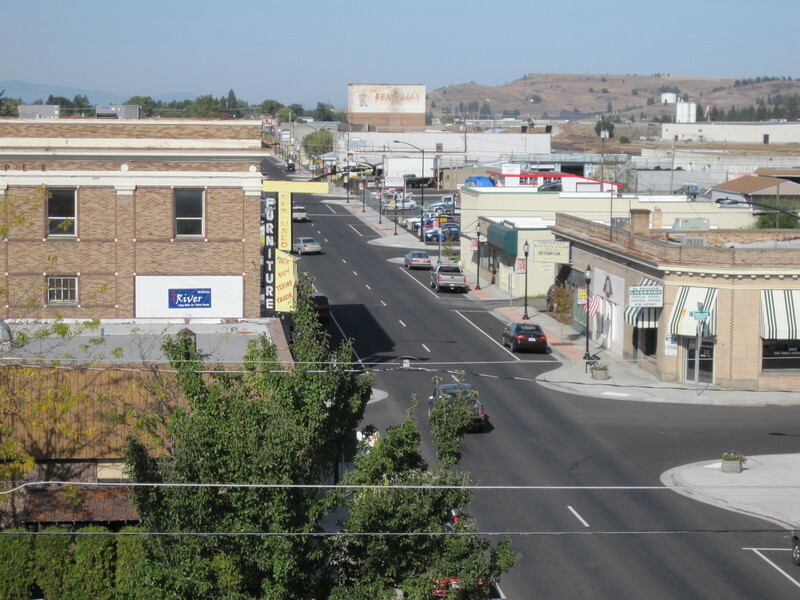 Early Market Street in Hillyard: Economic boom during the early 20th century saw the development of Hillyard's Market Street. Photo courtesy of Spokane Historic Preservation Office. 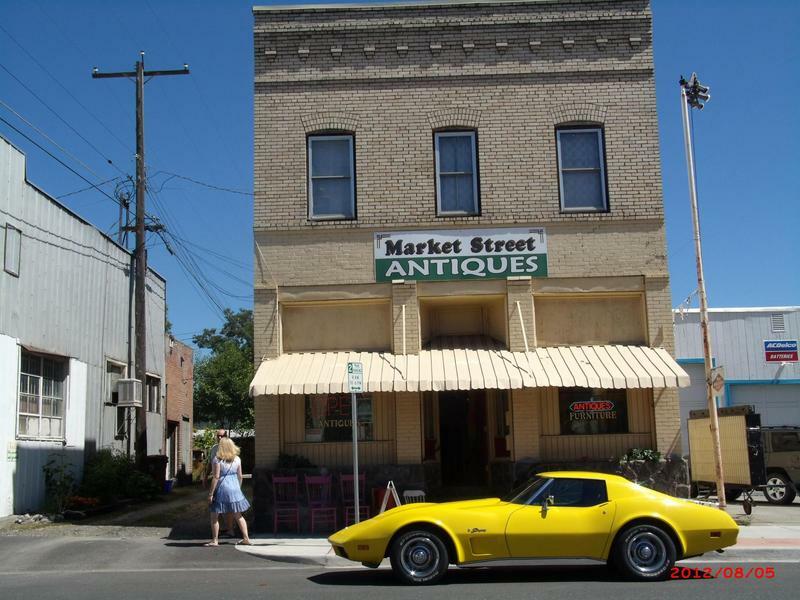 Market Street Antiques: The Inland News Empire Building now houses "Market Street Antiques." Inland Empire News Building: Home of the Inland Empire News and later the Northside Post, this building maintained a printing business for over thirty years. Photo courtesy of Spokane Historic Preservation Office. 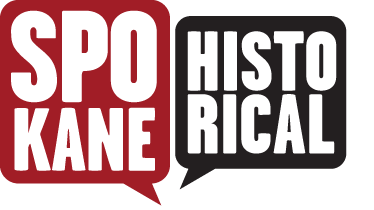 Tyler Sparing, “Inland Empire News Building,” Spokane Historical, accessed April 21, 2019, https://spokanehistorical.org/items/show/262.